A second chance at love is also a chance to prove that people change with time. Lately, I’ve read so many stories featuring second chance romance. The Royal Affair is one of those stories. In this story, Princess Marina Palmera met New Zealand horse breeder Jonas Wilder at her brother’s wedding. After spending a wonderful month together, Jonas left Marina without saying goodbye. Four years later, an older, wiser and more sophisticated Marina meet Jonas again. This time they meet in New Zealand. They still long for one another but they are not able to communicate that. Luckily, Jonas’ daughter brings them together again. My biggest issue with second chance romances is that former lovers are sometimes so full of resentfulness. They are also often rude toward one another at the beginning of the story. It’s becoming a bit cliché. And yes, the trope is present in The Royal Affair, luckily it’s also toned down. Jonas is rude to Marina even though she was one left behind. For that reason I did not like Jonas for Marina in the beginning. To his credit, he is a caring father. I did like Marina. She’s pictured in a realistic way. She struggles with a lot of things at the same time. Foremost with her emotions toward Jonas, and then also with the role that was gave to her by her birth. Suddenly being dutiful princess became a heavy burden for her. But luckily everything turns out just fine in the end. The Royal Affair would be just another second chance romance if not for the end. In one of the final chapters, Marina finally put her foot down and takes a stand toward Jonas and his behavior. I adore that scene. It was so good and powerful and what is most important it lifted the story and I started to believe in Marina and Jonas’ HEA. 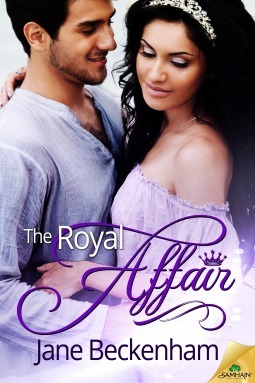 All in all, The Royal Affair is fun read that I recommend it to those who like royal romances and/or second chance romances.